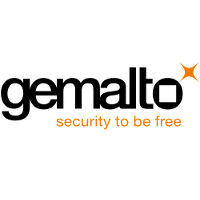 PARTNER NEWS: Digital security giant Gemalto has launched a solution which can bring public key infrastructure-based authentication and security to any device through a Bluetooth Low Energy (BLE) connection. “SafeNet MobilePKI uses Bluetooth Smart technology to enable mobile devices to communicate securely with PKI smartcards,” the company says, pointing out that this can include portable computers, tablets and mobile devices — even those without USB ports or smart card readers. “As a result, organisations can more fully realise the benefits and opportunities afforded by their mobile applications and at the same time consistently safeguard integrity and trust with their strong public key infrastructure (PKI) environments,” says Gemalto. ​​​​​Amsterdam, 8 December 2015 – Gemalto (Euronext NL0000400653 GTO), the world leader in digital security, today announced the availability of its SafeNet MobilePKI solution, designed to enable the particularly strong PKI-based authentication and security applications on any device, including those without a USB port or internal reader. SafeNet MobilePKI uses Bluetooth® Smart technology to enable mobile devices to communicate securely with PKI smartcards. As a result, organizations can more fully realize the benefits and opportunities afforded by their mobile applications, and at the same time consistently safeguard integrity and trust with their strong Public Key Infrastructure (PKI) environments. PKI is one of the most secure trusted security infrastructures today. However, mobile devices are not equipped with the USB ports or smartcard slots which were required to implement the strong PKI technology until now. Gemalto has developed this Bluetooth Smart solution to allow IT departments and organizations to extend the use of PKI credentials to mobile devices, including iOS, Android and Windows. The solution enables organizations to leverage their existing PKI environments and seamlessly extend them to mobile devices, achieving both security and convenience. It also enables users to leverage PKI security for other use cases on their mobile devices, such as encrypted email and digital signing. Offering strong two-factor authentication and email encryption, the SafeNet MobilePKI solution also allows secure remote access to VPNs and websites, so that users are able to perform all secure PKI actions on the go, including advanced functions such as digital signature and data encryption. SafeNet MobilePKI enables easy and simultaneous connection to multiple endpoints with the same Bluetooth device, with pairing detection taking place automatically within a 10 meter range. Organizations where PKI is already deployed will not need to issue new credentials to turn a traditional smart card deployment into one that is mobile workforce ready. Development kits furthermore allow independent software vendors and Certificate Authorities (CAs) to extend current PKI solutions to mobile devices, and develop new solutions specifically for mobile environments. In order to ensure the best results, Gemalto works closely with technology partners, software developers, OEM partners, CAs and enterprises who want to use SafeNet MobilePKI and develop their own mobile applications.